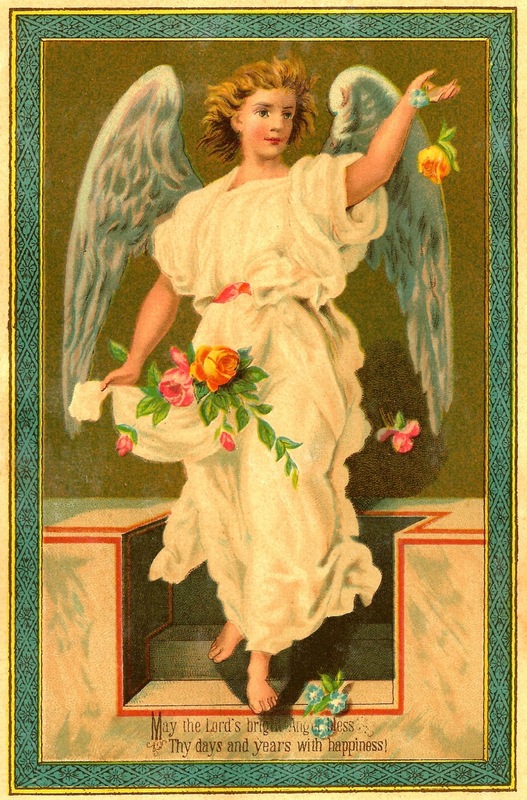 This angel graphic would make a wonderful greeting card, especially with the sentiment printed on the bottom of the image. Some of the words are a little faded, but it's still legible, thankfully. It's definitely a celebratory image with the angel tossing the pink and yellow roses. I hope you enjoy!